Had-Fab are industry leaders in the design and fabrication of both steel and aluminium structures for the Power, Transmission & Distribution industry. We are also a key supplier in the manufacture of steel lattice towers. 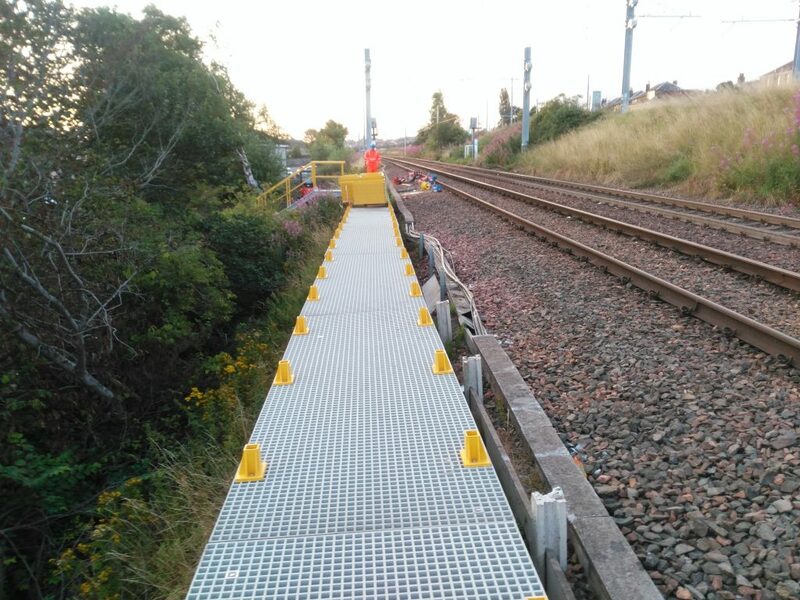 For the Rail Industry we provide OLE Structures, platforms and access systems and have recently worked closely with Costain on the Edinburgh to Glasgow Improvement Programme. To deliver the commision of the design and installation of a switch access for Costain. Costain is one of our customers who we have been working with closely as part of the EGIP (Edinburgh to Glasgow Improvement Programme). 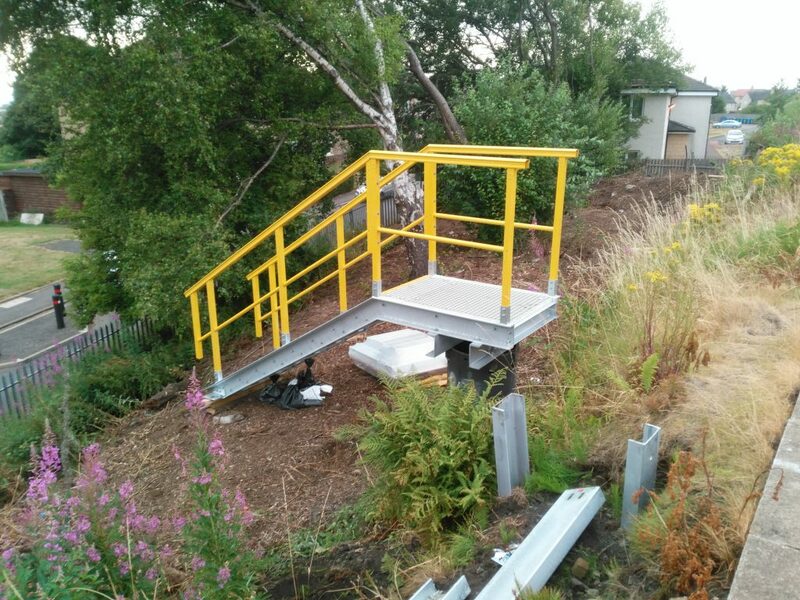 The project included the use of a hybrid fabrication with both galvanised steel and GRP elements for the construction of the stairs and the walkway. Working on this project was a great opportunity and opened a door, that allowed our team at Had-Fab to demonstrate our quality of service, flexibility and capabilities to our customer. We were able to grow our expertise along with our skills in the design and fabrication sector to help our customers further in the future. As an extra commitment to our customer for this package of work, we are currently evolving our services. Thanks to their support we will be able to provide more of a turnkey solution and present the customers with structure designs, foundation designs, full fabrication and even product installation. Due to the success of previous projects, we are thrilled to say that this is the first of a number of projects that we will be undertaking for our customers and as a result, will help drive Had-Fab forward into this new area for us.